Antiviral drug, azapeptidny HIV protease inhibitor. 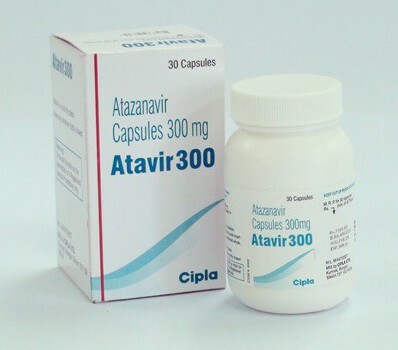 Atazanavir, also called Reyataz® or Generic Atavir – a drug used for antiretroviral therapy (ART). Formerly known as BMS-232632. ATV – a protease inhibitor manufactured by Bristol-Myers Squibb. Atazanavir was approved by the FDA Food and Drug Administration (USA) in 2003. Protease inhibitors prevent the protease enzyme from working. HIV protease acts like a chemical scissors. It cuts the raw material for HIV into specific pieces needed to build a new virus. Protease inhibitors “gum up” these scissors, blocking their action.